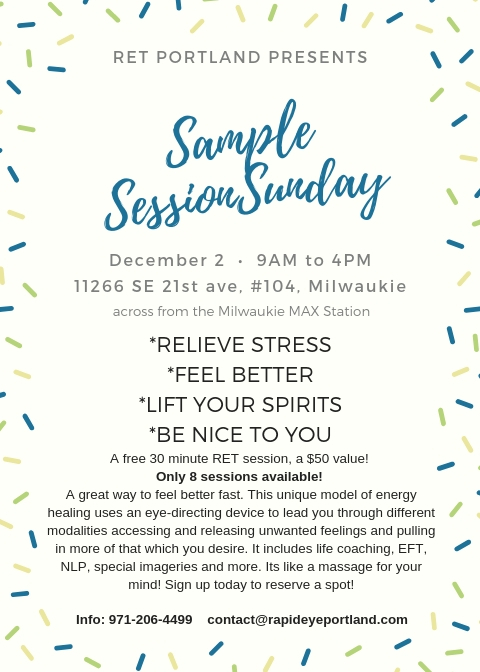 In this full group session with multiple people, we will focus on releasing feelings of fear and anger and replacing them with feelings of love and acceptance. No need to tell your story - just come, join in & experience unique techniques & processes that can help you move away from inner struggle and toward inner peace. Please contact us to reserve a spot or book a private session at $100. This is a great way to get a full session at a low cost! Crystal Heart has a long history of Psychic Fairs over the past 27 years. We now proudly present our latest rendition in our most beautiful environment ever! ARTISTS: in Wood, Ceramic, Metal, Beads, Photography, Paintings, Sculpture, Carving, Textiles, Mosaics, Wheat, and even Computer Chips?? Come enjoy the fun-filled atmosphere and celebrate our opening of the now newly renovated piece of Hillsboro history at :269 E Main Street, Hillsboro. Take the Train to Hillsboro as we are literally 1 block off the Max Station! Want to pre-book a session? This new feature of our show allows you to call, schedule and pay for your appointment in advance to see your favorite practitioner during the Fair! Contact Norman to pre-book & prepay for your appointment today. (No pre-booking the day of the event.) Call 503 481-3919, leave a message with phone & email and we will contact you to schedule your experience. Thank you for your support of us and all of our gifted practitioners. A free 30 minute session of Rapid Eye, a $50 value! This is a great way to feel better fast. This unique model of energy healing uses an eye-directing device to lead you through different modalities accessing and releasing unwanted feelings and pulling in more of that which you desire. It includes life coaching, EFT, NLP, special imageries and more. Its like a massage for your mind! Sign up today to reserve a spot! Rapid Eye Technology is not involved in treatment or diagnosis of disease, nor does it substitute for medical treatment when such attention is needed, desired, or required. Individuals performing Rapid Eye Technology do not treat, prescribe, or diagnose an illness or any other physical or mental disorder. Nothing said or done by that individual should be misconstrued as such. Whenever there is any suspicion or indication of physical or mental disorder, it is imperative that a physician or qualified licensed mental health professional be consulted.